Yet, in a time when we’re busier and more digitally accessible than ever it’s easy to wonder – is in-person networking dying? Fortunately for me, the answer is No! I know, I’m biased, but bear with me. These days, just about every business has a digital presence (and if they don’t, they need to get one), making it quite easy to check them out. Add social media and you can start to get a feel for their business ‘personality’ without even picking up the phone. Plus, the rise of groups on Facebook and LinkedIn, along with forums, Twitter, and other platforms, means we can interact with other people and businesses from the comfort of our keyboard. With all this accessibility it can seem hard to justify an evening out to network. By connecting and engaging face to face, you have the chance to stand out and be more memorable. Last month I ran a Progressive Dinner event. It was our Mid Year event and the 2nd Dinner we have held this year. We have run six other dinners where a diverse group of business owners and professionals from various industries have participated. You could feel the anticipation in the room at the start of the evening as people wondered what the insight on "Conversational Intelligence" would uncover and as they were introduced to new connections and caught up on existing relationships. You could sense that the crowd was curious. Those who had attended previously, came along once more because they knew that they would go away feeling enriched. They enjoyed the interaction and learning. They took pen to paper and drew fun portraits of those they met. They used toothpaste and paper plates to get involved in an activity teaching them about listening and hearing what is actually said, not what you think was said! These types of conversations enrich your thinking and only happen face to face. People often talk about recognising and being able to verbalise your USP- your Unique Selling Proposition. I am here to tell you, that you are it! You are you and people buy from those they know, like and trust. So, by investing the time in building face to face relationships, you benefit from using your “gut” feeling in establishing rapport, and creating the foundations for building trust with others. A little while ago Leigh and I were doing some renovations on our home. As often happens, when I needed a builder I asked around for recommendations from my friends and professional contacts. A good referral can cut down on some of the leg work in finding just the right person to help you out, rather than having to trawl websites and field responses to an ad. Even with a strong recommendation, though, it was important to me to meet with the contractor before he started work on our home. I wanted to get a feel for him, to know if we could work well together. Could we communicate clearly? Would he understand our ideas? Would I feel confident that he could deliver what we had in mind? The same process applied to any tradesperson who I was allowing into my home, and when it comes to to my business I too want the opportunity to connect with my graphic designer, marketing consultant, accountant, financial planner, or whoever, before engaging their services. It is for this reason that in-person events should remain an important part of your business networking. Having the opportunity to speak with someone face-to-face helps to build that know, like, and trust factor that we all rely on when making decisions about who to do business with. The more we learn, absorb, witness and experience enables us to find what we need. We learn to apply our knowledge, utilise our skills, determine our next step and make informed choices when faced with situations and opportunities that serve our purpose and help us to grow personally and professionally. Of course, we can never know or learn everything ,or experience all that is on offer, but by connecting, engaging and building relationships with others, our horizons expand and we can be encouraged to step out of our comfort zones more confidently, based on the experiences and knowledge we glean from others. When was the last time you attended an in-person event? If you’re feeling a bit rusty, come along to one of our YTM Business events. We offer far more than just another networking experience through our refreshing, effective, fun and welcoming approach there are four different formats on offer. These formats keep networking interesting, and you can find the style or approach that best suits your needs. Each format allows for open networking, strategic introductions and an expert speaker providing insights andpractical tips on relevant business issue , all at one event. In short, attending business events, developing your knowledge, improving your networking skills, increasing your connections and boosting your confidence will enrich your life, personally and professionally. You benfit from being inspired, gaining confidence and taking steps to grow your business network as you benefit from support and information in a warm and safe environment, engaging with others who can support you in the real world. 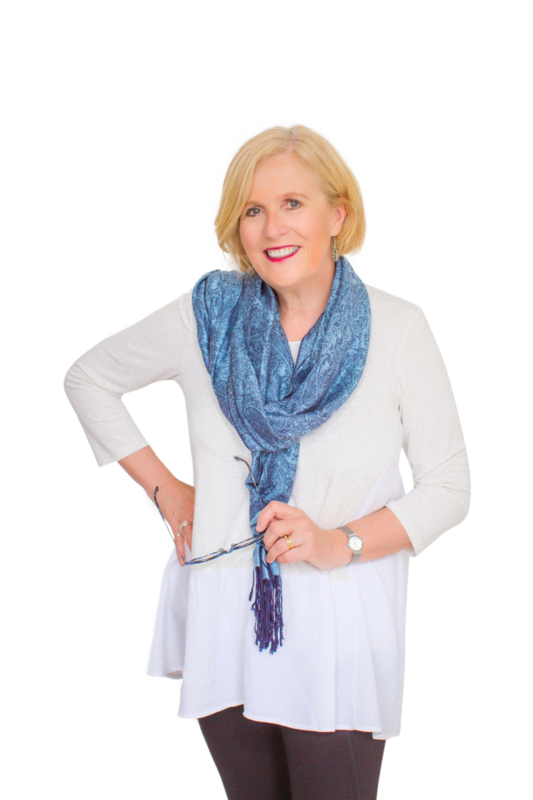 Kerryn Powell, Founder and Creator of Your Time Matters , is a business connector and catalyst who helps start conversations that transform and grow your business. With a diverse network. Kerryn facilitates focused business conversations, shares knowledge to improve business and finds solutions by helping business owners generate income and achieve outcomes. For the past 4.5 years, Kerryn has run networking events within the business community which have connected over 1200 business professionals , for over 6500 conversations resulting in opportunities to move businesses forward. She knows that communication and strong relationships, both internally and externally in the workplace, are essential for business growth. Recognising that not everyone is comfortable networking, Kerryn provides workshops and coaching to individuals and groups to take them from "good to great" and "awkward to awesome"! Contact her today to improve your internal and external networking results.